Do you know someone who could use a break from cleaning? Give them the perfect gift thatwill absolutely make their day (or even their season)! Buy them a gift certificate for housecleaning! Gift certificates are available in any denomination. You can purchase them for regular recurring service,one-time cleaning service, move in/out cleaning as well as our spring/fall cleaning special. 1. Click on a "Buy Now" button. You will be redirected to the PayPal site. 2. Choose the amount. Click "Update Totals". 3. Follow onscreen instructions to complete your payment. Gift certificate will be sent to you within 24 hours. If you need the gift certificate sooner, please contact us at 905-567-1199, and we will have it ready for you ASAP. When searching for the right gift for that next special occasion, one option to consider that everyone can benefit from is a cleaning services gift certificate. While this is a gift that is often overlooked, there are numerous benefits to presenting this type of gift to anyone on your gift list during the upcoming year. Not only is this one of the most unique gifts you could give, but it is also thoughtful. Need an ideal gift to present to a new mom? What better gift than the assurance that she will not have to concern herself with cleaning the house during this important and special time of her life? Instead, she can focus her time and energy on bonding with her new bundle of joy. When you give a gift of a cleaning service, you can be certain the new family will definitely appreciate it. Looking for the perfect birthday gift? A maid service gift certificate is also an ideal option as a birthday gift. 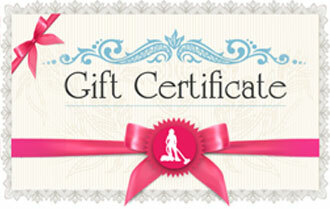 Whether it is your mom, aunt, friend or significant other,a cleaning services gift certificate is always appreciated. Trying to find an appropriate wedding gift for that special couple? Help them start out their new life together by assuring they do not have to argue over whose turn it isto vacuum or scrub the toilet! Cleaning gift certificates are also great choices for a variety of other events and occasions, including holidays, Valentine’s Day, wedding anniversaries, graduations and more. Trying to find a gift for your aging parents that is both practical and something they do not already have? Present them with a maid service gift certificate. This is a great way to relieve them of the burden of cleaning, give them more time to spend with friends and family and remove the worry that they may become injured while trying to perform regular cleaning tasks. Cleaning gift certificates can vary in size and frequency. Not only can you purchase maid service gift certificates for weekly, biweekly or monthly cleaning services, but you can also purchase one-time gift certificates. For instance, if you know someone who has recently purchased a new home, you might consider giving them a certificate for move in/move out cleaning services. This would be a great way to help them during what is a busy time and congratulate them on this important occasion. There are certainly numerous benefits to giving maid cleaning services as gifts, but one of the best is the fact that it is a gift that will keep on giving throughout the year. While many gifts, including consumable food gifts, are gone within a short period of time and quickly forgotten, the gift of a maid service is a gift the recipient will be able to continue enjoying. 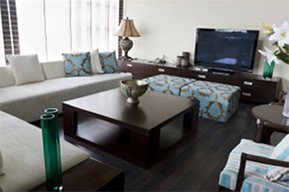 Each time they arrive to a sparkling clean home, they will think of you and your generous and thoughtful gift.